Zodiac Dance Demonstrates Extremes from Ballet to Modern. I thought it would be fun to write and premier a ballet on the zodiac. What a project! First of all, for a number years I accompanied classes at the Florida Ballet Arts School in Sarasota. Lynn Winslow, the artistic director, was quite kind to me. My rhythm, back then, used to be sometimes, in places, not quite spot on. She would tell her dancers: “This happens in the real world. 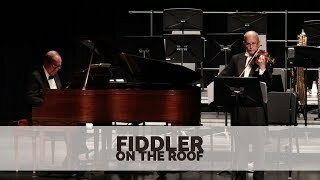 You sometimes have to make adjustments for the accompaniment in an actual performance. This can be true of any live music.”. Thank goodness, my rhythm, like fine wine, has improved with age. I always wrote music. Actually, before I was an accomplished pianist, I composed difficult works. But what was it that got me interested in the zodiac? Like many before me, I worked out a connection between music, the planets and the zodiac signs. The connection was thought of some years previous to my ballet involvement. The result was the World Premiere of the Dance of the Zodiac. In addition to an introduction and finale, it has 12 vignettes. One features each zodiac sign. The introduction was less structured. It was like the creation right after the big bang. Structure and keys came with the zodiac signs. The Dance of the Zodiac had a full 45 minute presentation by the Florida Ballet Arts Ensemble under the choreography and direction of Lynn Winslow and S, Fairwhether. See newspaper article. Below is a sample of my composing. It was done on a warhorse of a piano in the Catskill Mountains at Scott’s Oquaga Lake House. However, it does offer a sample of my composing. Most recently I have been co-composing an opera comique with my wife, Sharon. Very big news is in the making with this 2 hour long work. Announcements will be forthcoming. It is still under wraps. Sharing Happiness at a Big Band Music Museum. How do you get a good handle on life? Answer: Ask a key question. What should that question be? Simple stated. “Is everybody happy?” This question is even better than meditation. Actually, it is the banner on a big band museum in Circleville, Ohio. Meditate on this question. It will focus your thoughts on a highly noble cause. Now for another big surprise: This pronouncement is also the title of a film. It stars Ted Lewis. Curator of the Ted Lewis Museum, Joseph Rubin, shares happiness with all! So why am I blogging about this? I got to share in this happiness. There was at a special concert on June 2, 2018 in Circleville, Ohio. I had worked with a famous conductor-violinist. My job was as his arranger and accompanist. His stage name, Rubinoff and His Violin. Joseph Rubin, the curator, is also a phenomenal conductor. The maestro had read some of my Rubinoff blogs online. He gathered an élite orchestra for a Rubinoff dedication. I was invited to play a Rubinoff memorial concert. What an experience! Below are a couple of youtube links. Please take the time to listen to this unforgettable music, unforgettably arranged. The 1st is a link to excerpts from the concert. The 2nd demonstrates the mastery of Rubinoff in his younger years. Rubinoff and myself, blogger David Ohrenstein, are in the lower right program corner.The picture shows us ready for a special concert at the Governor’s Club in Tallahassee, Fl. This program is posted at what I would call the “Ted Lewis Museum” ….. of sharing happiness! Playing the arrangements I made with Rubinoff, this time with with Maestro Steven Greenman, in Circleville, Ohio some 50 years later. Hidden Periodic Chart Sequence in Antiquity. 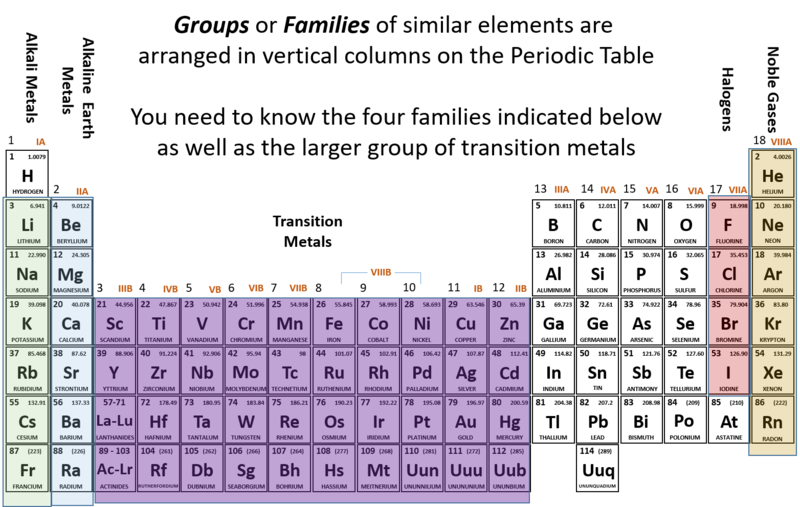 What is the Periodic Chart? The periodic table, or periodic table of elements, is a tabular arrangement of the chemical elements. It isordered by their atomic number, electron configuration, and recurring chemical properties. Its structure shows periodic trends. The 3 x 3 number square of Saturn. The 5 x 5 number square of Mars. The 7 x 7 number square of Venus. The 9 x 9 number square of the Moon. The numerical differences found in the 1st vertical row of the chart sets the standard. These differences use numbers 2,8,18 and 32. Eight is used twice. So is 18. 32 is used once: Note: Fr (87) – CS (55) = 32. The master number square of the ancients is the 3 x 3. Please check the internal link below for further explanation through geometry. It also holds the vertical sequence in code by the lines of its graph. However it incredibly sets the numerical pattern in motion. The total picture of illustrated by squares of Saturn, Venus, Mars and the Moon clearly reveal the numbers of the periodic sequence. Thus we have the sequence by geometrical ratios and by actual numbers. The ancient number square sequence is in the same perfect order. View the odd numbered squares as follows: Locate the one number in the center of the oddly numbered squares. Then look diagonally at two numbers as follows: (1) Immediately above and to the right. (2) Immediately below and to the left. Here are the first two such diagonal numbers of the 3 x 3 Square of Saturn: 2 and 8. Next look at the 5 x 5 of Mars. We have the 8 and 18 in diagonal with the central 13. Next we have the 7 x 7 of Venus. We have the 18 and the 32 in diagonal with the center. That completes the main defining numbers of the periodic chart however, let’s continue the sequence. Look at the 9 x 9 of the Moon. We have 32 and 50. Here is a special case. When we add 32 + 50 = 82. This is the highest atomic number of a non-radioactive element. It effectively completes the stable elemental series. Why the planetary associations? This does not prove a lost ancient, advanced civilization that used number squares instead of our periodic chart. But it makes the likelihood slightly greater than previously thought. Romanticism in the fine arts is feeling oriented: That is, feelings on a grand scale. German painter and author Caspar David Friedrich expresses it this way: The artist’s feeling is his law”. Our featured picture was painted by the same C.P. Friedrich. 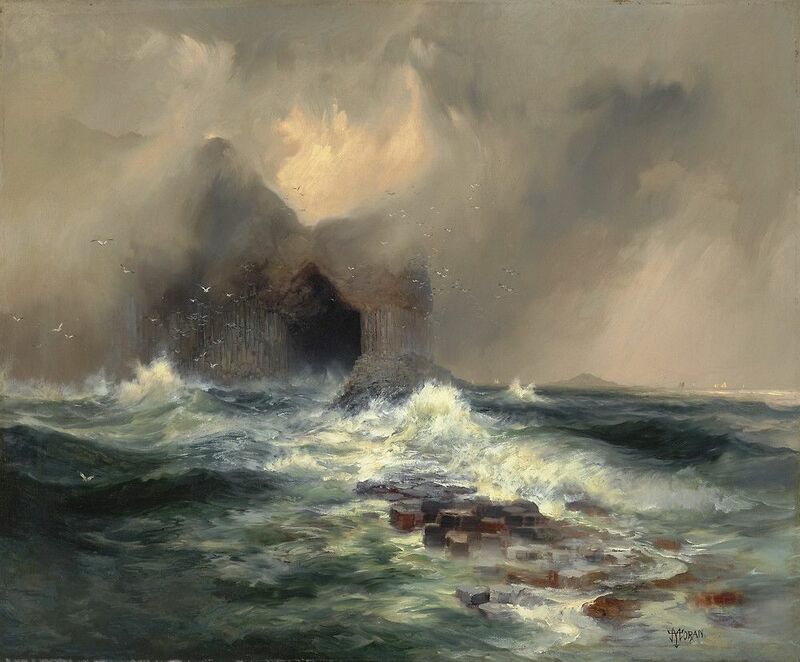 “Thomas Moran – Fingal’s Cave, Island Of Staffa, Scotland 1884. Sea landscape. Fingel’s Cave inspired Romantic composers. F. Mendelsshon wrote an overture. The featured painting parallels an inspiration I was given about fog. A spirit on Oquaga Lake dictated her poetry to me. I was the piano player for many years at Scott’s Oquaga Lake House. This employment covered some 15 summer seasons. The poetry book is called The Oquaga Spirit Speaks. I have memorized every poem. At sometime in the future, I will do recitations. 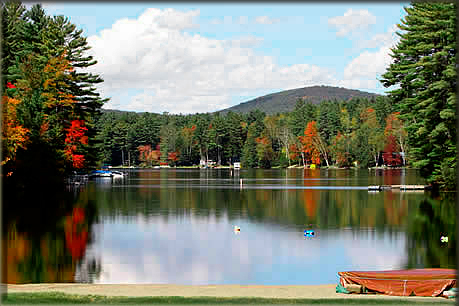 The Catskills Mountains in New York have inspired many writers. Among them we find Washington Irving. Below is an internal link. Oquaga Lake was once inhabited by American Indians. The tribe was the Lennie Lenape. Women ran the tribe. I believe the spirit of the lake is an American Indian female. Fingers of Fog a sample of the poetry she related to me. Poetry Foreshadows Romanticism. On Oquaga Lake a spirit loves poetry! At this early morning time? Almost ready to take wing. As such water bodies are. While viewing the Morning Star. Five hundred fortieth post is all About Man. Here’s the story as an excerpt from my The Staff of God Vol II. A number of Middle Eastern languages have the same symbol for numbers and letters. In this manner a numerical value can be equated with a particular number. This is called by the ancient Greek word, gematria. The gematria of the first man, Adam is 45. This number has kinship with the 3 x 3 number square. Being the sum 1 thru 9, totals 45. The word for Adam is actually set up like the square. Aleph = 1; dalet = 4; and mem = 40. Aleph + dalet total the central 5. Mem equals the sum of the perimeter of 40. From which right and left limbs can be molded. Example, 951 + 159, total 1110. 438 + 672 can be viewed as the left and right arms. The reverse 834 + 276 can be the left and right legs. The 3 x 3 number square utilizes opposite polarities by number. Man’s polarities are left and right: Arms and legs swing back and forth while walking. Power in martial art utilizes strength through polarity: One arm thrusts forward while the other goes backward in a set manner. By single numbers the perimeter is 40. Double and overlap the perimeter numbers. You get 440. Triple and overlap the perimeter numbers corner to corner. You get 2,220. The total of the 3 perimeters is 2700. Add all three totals The 1st sentence of Genesis totals 2,701. Thus, 40 + 440 + 2220 = 2700. We add the One to the opening sentence of the Torah. Remen Measure was Known by Moses. According to the Hebrew Bible, he was adopted by an Egyptian princess. Later in life became the leader of the Israelites and lawgiver. He is generally credited with the authorship of the Torah, or acquisition of the Torah. His position in Egypt gave him access to knowledge possessed by the higher echelons of royalty. He knew source of the remen, in at least two different mathematical ways, is the 3 x 3 number square. Jay Hambidge discovered a canon of measures in antiquity. This was at the turn of the 1900’s. The Egyptian remen is the basis of most ancient measure. The remen, when multiplied by the square roots of basic numbers (2,3,4,5,6,..) create the ancient measures in terms of the 12″ foot. Add the numbers around the central 5 (I term these numbers p1 which stands for perimeter one). The eight numbers total 40. Then add them two at the time overlapping the numbers. I call this p-2. This stands for perimeter two: 49 + 92 + 27 + 76 + 61 + 18 + 83 + 34 = 440. Now take the number three at the time. Add them 3 at the time. Overlap the corners. I call this p-3. This stands for perimeter three: 492 + 276 + 618 + 834 = 2,220. Then (p-1) is 40 + (P-2) is 440 + ( P-3) 2,220 = 2700. Finally, divide the 2700 total of p1 + p2 + p3 by/ p3(2220): Thus, 40 + 440 + 2220/2220 = 1.2162…virtually one Egyptian remen. Everything that John Michell wrote by himself and with Christine Rhone is a must read. He explains the Canon of Measures. I simply applied it to the 3 x 3 number square. Horizontally: (492 + 618) + (357 + 753) + (816 + 294) = 3330. Vertically: (438 + 672) + (951 + 159) + (438 + 672) = 3330. 1 + 2 + 3+ 4+ 5+ 6+ 7+8 + 9 = 45. For the 2nd way, 148 is the key number. So, how does this tie into Moses? In Hebrew Passover is spelled פסח. The 1st letter (pei) is the glyph for 80. The 2nd (sameck) is the glyph for 60. The third (chet) represents 8. Thus, 80 + 60 + 8 = 148. Passover and the remen measure are thus tied together. How did I learn to work the mathematical intricacies of the 3 x 3 number square? From an American Indian spirit on Oquaga Lake. She was of the Lennie Lenape tribe. On walks in the Oquaga Lake area, the spirit communicated ancient secrets to me. The tribe once lived around the lake. I was the house piano player at Scott’s Oquaga Lake House. Beautiful Oquaga Lake, home of the Oquaga Spirit.